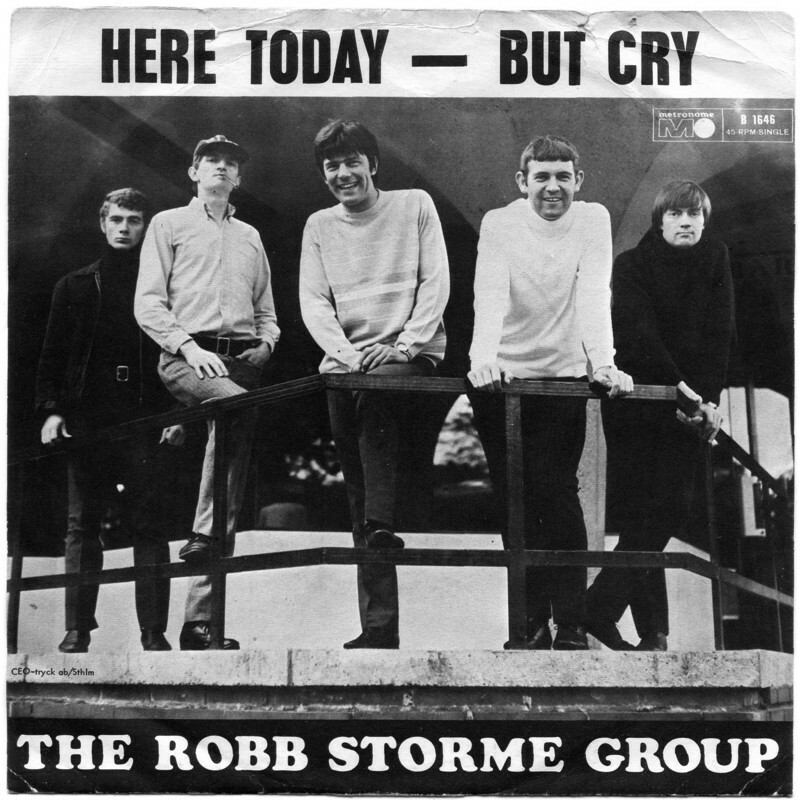 British vocalist Rob Storme recorded a host of singles in the UK starting way back in 1960 and sadly I can't tell you much about him. 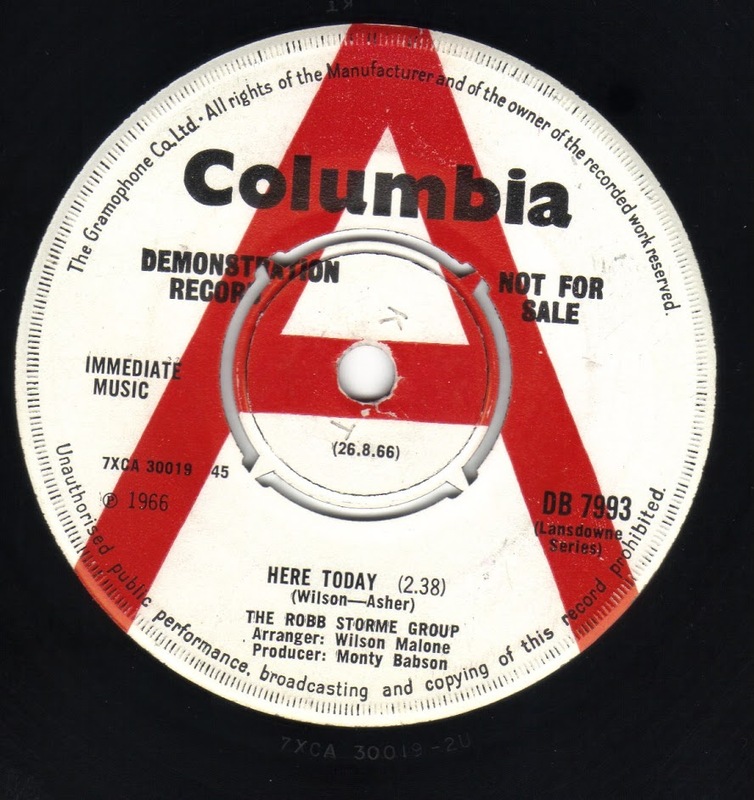 Today's subject was only released under the moniker of "The Robb Storme Group" (previous issues were either solo billing or with backing by The Whispers). This was also apparently his last. I've little idea who he was or what became of him. The A-side is a Beach Boys cover released at a time when Britain was in the throes of Beach Boys mania with a host of other Beach Boys tunes being issued at an astonishing rate in 1966 Britain (especially from "Pet Sounds" where this number originally appeared). Brit harmony act The Factotum's issued their own reading a month prior (Piccadilly 7N 35333). 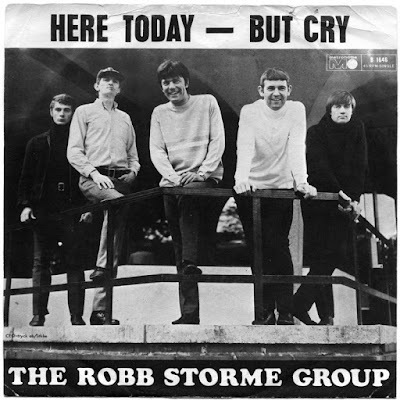 The Rob Storme version is a tad faster than the original and is wrapped in powerful harmonies (eschewing the orchestration of the original and relying on more harmonies and an organ brought up in the mix). I was never really a fan of the track no matter who is doing it to be honest. For me the money has always been the B-side, "But Cry". It's a poppy tune but there's a hard edge to it that when meshed with the superb harmonies and subtle keyboards in a wonderful mix. It was written by producer/arranger Will Malone later of The Orange Bicycle (who arranged both sides of the 45 actually). The 45 was issued in an astounding number of countries including Canada, Germany, Sweden and the USA! "But Cry" was recently unearthed for the "Beatfreak 6" CD collection and both sides were also reissued on a slightly non-legit Japanese 45 reissue in 2002 replicating a German pressing.